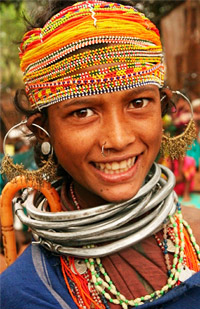 Visit the untouched, unhurried and unexplored Rural and Tribal destinations of India. 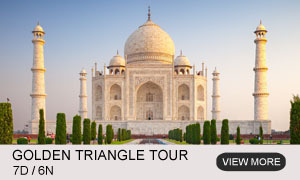 This Tribal ORISSA Tour Package with Kanha tiger reserve is a part of the our rural and tribal tour organized by us and visit local villages and the ethnic tribes in Kolkata, Bhubaneswar, Puri, Vishakhapatnam, Jeypore, Bastar, Kanker, Konark, Puri and Mumbai. 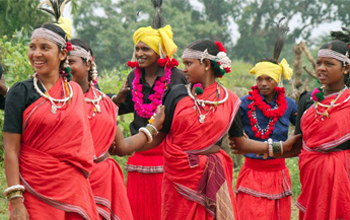 With our help, you can gain a first-hand experience of the tribal customs and rituals, explore rural/tribal way of living, observe the livelihood, and appreciate the close connection these people have with Mother Nature. Indian Traditional Welcome with Garlands at the Kolkata international airport and transfer to hotel. Night stay in Kolkata. will stop at one of the local restaurant for lunch break. 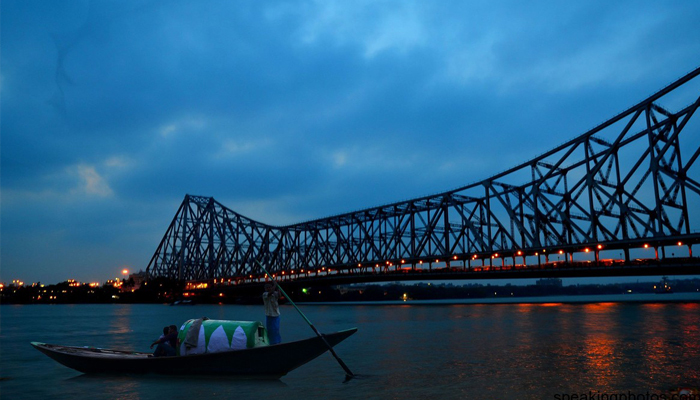 Dinner and overnight stay in Kolkata. 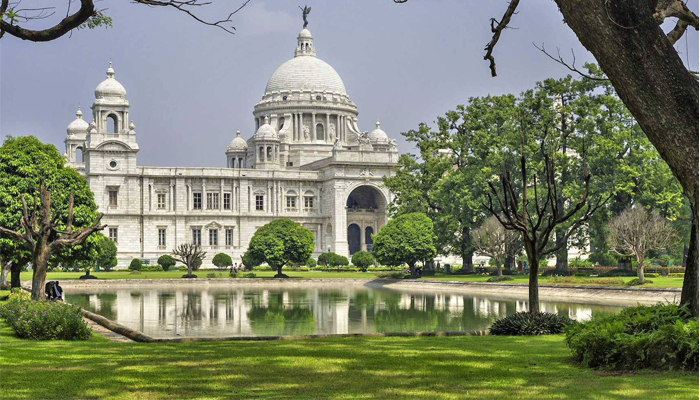 Around 07.30, after early breakfast start Heritage Walk Tour – British Section as Kolkata was the Capital of British before they moved to Delhi. Apprx two hours walk and then the tour. We will visit Dalhousie Square. Ø Dalhousie Square (Covering Shahid Minar, Raj Bhavan, St. John’s church, High Court, GPO, Town Hall, Writers Building and other colonial buildings). 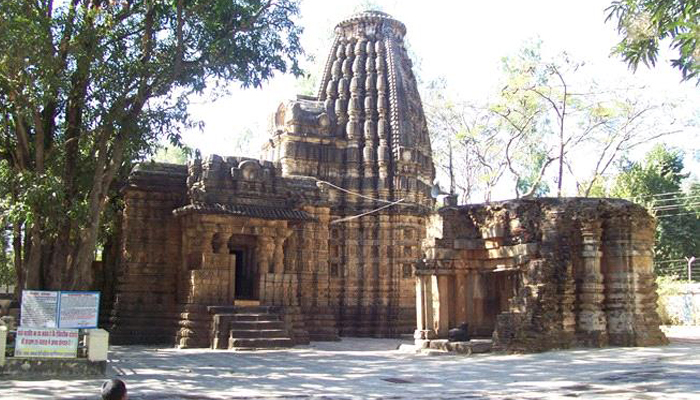 Kali Temple is also an important and unique destination. The surrounding markets, small a shop etc around the temple is an important sight. Rest of the day free for independent activities. After breakfast leave for airport. Arrive Bhubaneswar airport and transfer to hotel and Check in and a short Lunch break in the hotel itself. 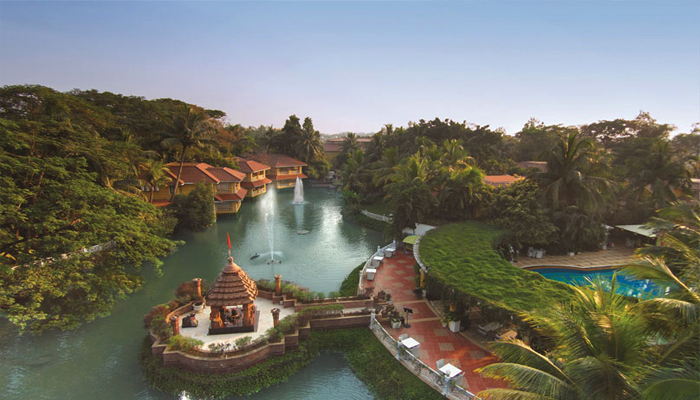 In late afternoon start your tour of Bhubaneswar – also known as The City of Temples. After take early breakfast you will proceed to Puri via explore Konark sun temple. Later drive to Puri and check in the hotel, take lunch (on direct payment basis). 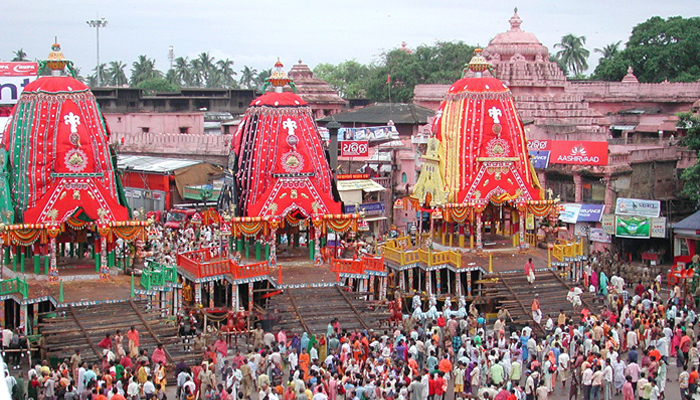 Late afternoon we will visit most sacred Jagannath Temple. A walk around the temple in local market is a most unforgettable experience. After take breakfast you will move for excursion of Satpada Chilka Lake. After explore the lake take lunch at local restaurant (on direct payment basis). Later leave for Puri hotel and take rest. 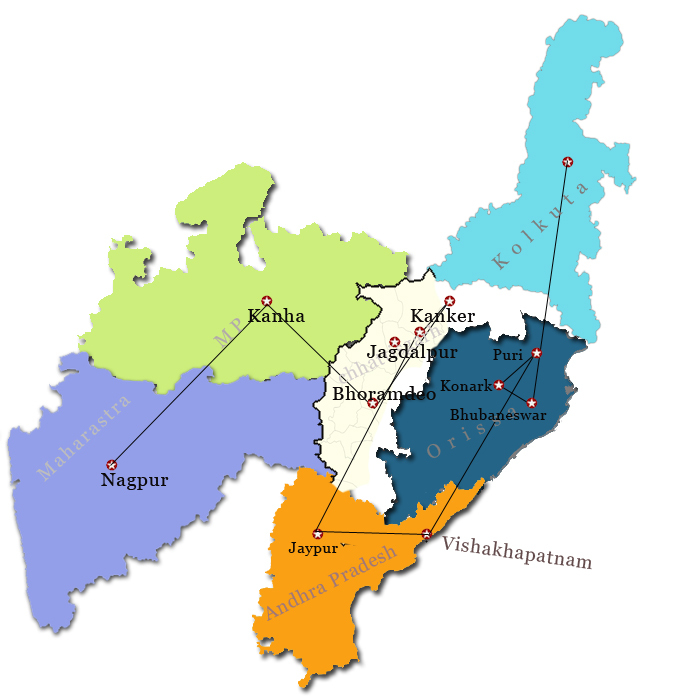 After breakfast drive to Bhubaneswar and take your flight for Vishakhapatnam. 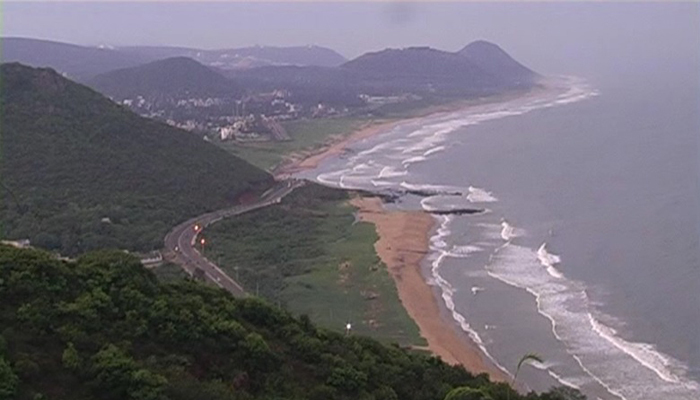 Arrive Vishakhapatnam airport and drive to hotel, take check in. If you have time, then you can visit beautiful beaches. Night stay in Vishakhapatnam. From today till we arrive in Kanha on Day 15, we embark upon a unique journey into very different part of India. The landscape, the people, their costumes, traditions, costumes, the food they eat…everything is so different and beyond imagination. The region is mainly under development (except main cities). One man with driver, one specialist tribal guide will be with you during this wonderful journey. Our guide will carry enough mineral water and some fresh fruits supply. You will have your meals, especially lunch at designated places. However please carry some biscuits, potato chips or small bites, especially for the children. Not to forget carry your cameras for those memorable pictures. However in tribal area please be careful and consult your guide before clicking – especially women in few clothes. chocolates to give to tribal people as gift. After breakfast drive to Jeypore, on the way we will visit Borra Caves and Aarku Valley. We will take lunch break in a local restaurant in Aarku Valley. We continue passing though tribal area visiting the tribal weekly market at Kunduli of Mali and Paraja tribes. Check-in to a hotel in Jeypore for dinner and overnight stay. Day 09 Jeypore Jagdalpur (Bastar) (by road/90 km/2 hours) (Bf+Lunch+ Dinner). Early morning after breakfast, around 07.00 hours visit bondo tribal market. Return to hotel, freshen un up, check out and then drive to Jagdalpur via weaving village Kotpad. Check in Bastar Jungle Resort. The day has to be Thursday and Sunday. You will have lunch break at Royal Bastar Farm and drive to tribal emporium in either Kartawan or Bastar proper for a photo shoot.) We will also take an evening walk to the village. Stay at Jagdalpur (Bastar) includes a visit to historical Jagdalpur, Anthropological Museum and sunset trip to the Chitrakote waterfall. 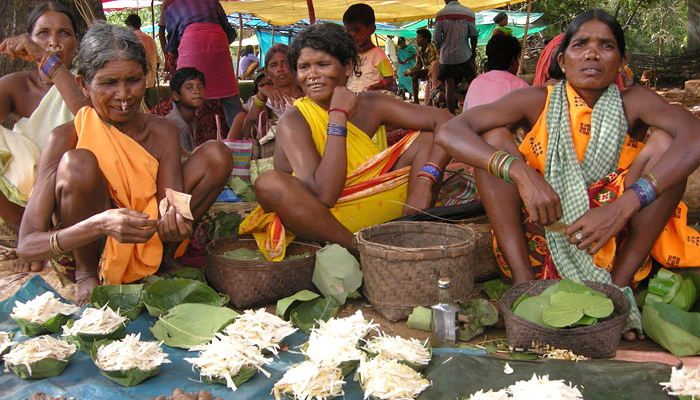 You will also visit Horn Maria tribe and local market of Maria Gond tribe at Tokapal. Day 11 Jagdalpur (Bastar)-Kanker (By road /160 Kms/4 Hrs) (Bf + Lunch + Dinner). A drive to Kanker after breakfast will take you to the tribal villages such as Kondagaon, and Kurmharpara. We will also take you to the first tribal market in the afternoon and Muria village. Check-in at Kanker Palace, Kanker for night stay. After breakfast we will visit the village of the Deer-Horn Muria Tribe and have glimpse of the Gotul System. Here one could enjoy the wonderful village food with some local tardy (local drink) and be Guests to one of them. Later we return to the palace and take an evening walk around the town. Night stay in Kanker Palace. Bhoramdeo Jungle Retreat, (BJR), is situated in the north-western Chhattisgarh district of Kawardha. Nestled in the Maikal Hills Satyendra “Sunny” Upadhyay’s farmhouse style home is close to the famous 7th – 11th century. Bhoramdeo temple complex with its lotus filled Pushpa Sarovar (lake). 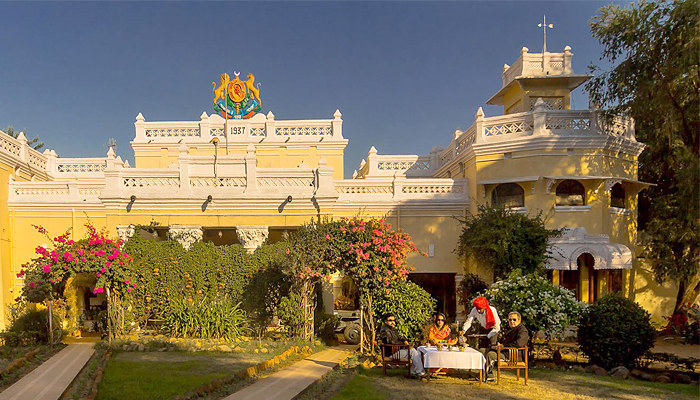 BJR gives the discerning traveler a chance to relax in an oasis of peace and friendliness along with the rare opportunity to explore Indian life at village level. The Maikal Hills that surround BJR are home to many species of central India’s spectacular wildlife as well as to the indigenous Baigas & Gonds, whose tolas (villages) dot the countryside. BJR’s focus is on real interaction with these gentle tribal people, be that in the tolas themselves, or whilst visiting the many colorful weekly haats (tribal markets). Jungle treks take you into a forest thick with birds and clouds of butterflies, as well as mammals including langur and even big cats (here be leopards and tigers). You will be meeting native forest tribes of Baiga people after the breakfast on day fourteen. Guide will go away in the evening. Night stay in Hotel. Afternoon we take our first exclusive jeep safari with Forest Guide into Kanha National Park and Tiger Reserve. Afternoon safari 1500/1800 (Wednesday afternoon safari not possible). 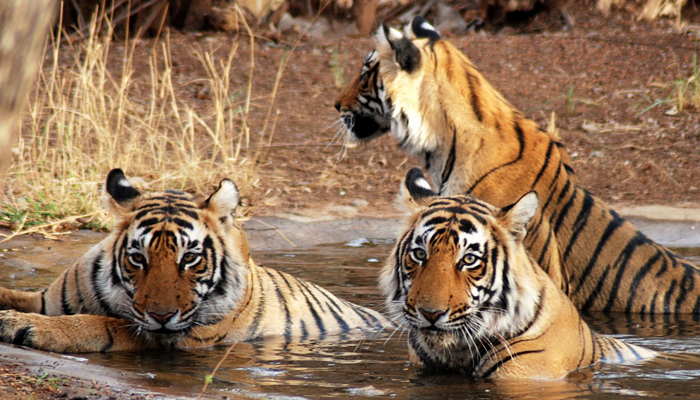 Dinner and overnight stay arrangements will be in Kanha Tiger Reserve. 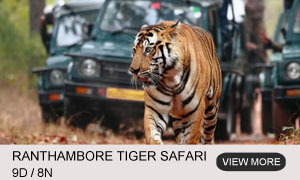 The entire morning and afternoon is dedicated for two jeep safaris in Kanha National Park. After morning safari we return to the resort, relax and afternoon go for another Safari. We will return back to the resort in the evening for dinner and overnight stay. If you have late flight out of Nagpur…this morning can do safari instead of previous afternoon. Fly to Mumbai and connect your international flight. After breakfast proceed for morning half day city tour of Bombay, political capital of Maharashtra, and financial capital of India, also famous for India Film Industry Bollywood. Visit – Gateway of India, The Prince of Wales Museum, and Chowpatty Beach & Juhu Beach – Chowpatty beach is situated on Marine Drive. Night stay Mumbai. After breakfast you will drive to Mumbai international airport to board your international flight to onward destination. – 09 nights accommodation with room and breakfast. – 09 nights accommodation with room and all meals. 2. Air conditioned car with an English speaking tourist driver as per programme. 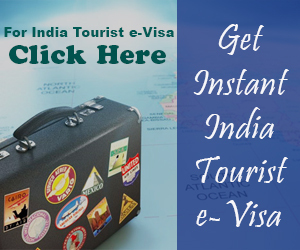 – Local English speaking tourist guide in Kolkata, Bhubaneshwar and Puri. – Accompanying Guide from Jeypore to Bhoramdeo. 3. Entrance Fees of Monuments. Mumbai Hotel Suba Palace Hotel Fariyas Hotel Trident Nariman point.